After the invasion by the Scots in 182 AD., a feeling of vulnerability began to sweep the country. Until now, only a few towns had walls erected around them. At the end of the 2nd century AD., they began to appear with regularity around the country. This was not an easy process and needed authority from the Emperor himself before a town could erect such a defence. The Roman hierarchy were not happy about towns effectively building their own barriers. Not only would this keep any invaders out, but also the Roman army. They felt the leaders within these new walled towns would have a power to control them far beyond their current remit. The controllers of these cities countered by quoting the horrific damage done to person and property during the Boudiccan rebellion of 60/61 AD. London, Colchester and Verulamium (St. Albans) had been totally destroyed during this time. By the end of the 2nd century. many towns had walls. Whether these were earthwork ramparts, or fully fledged stone walls with entrances and lookout towers. the building program went ahead. The fear of an invasion, whether it be from the Scots, or some as yet unknown enemy, the towns were determined they should have heavy defences. The reason for a walled defence was simple. An open town invited attack from all sides and if the enemy had enough troops, they could take it just by sheer weight of numbers. A walled city presented a huge barrier and would need master tacticians and engineers to plan the assault. These walls were to prove themselves, not in Britain but on the continent. During the revolts in Europe during the latter part of the third century, it was open towns that fell the easiest. 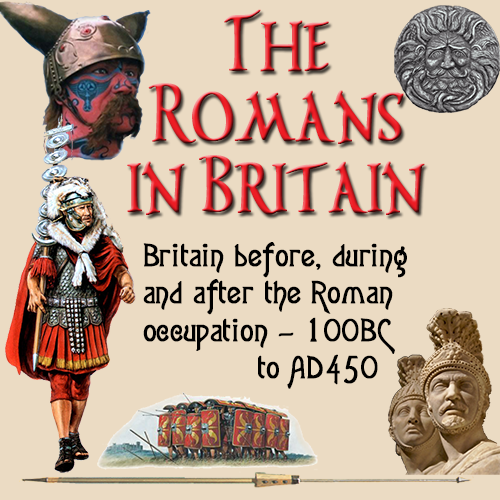 At this time, there was unrest in the Roman army. Ulpius Marcellus, the current governor, was not liked by his troops. He lacked the flair and personality that would instill morale and positiveness into his commanders and troops. So much so, they reverted to emperor-making tactics. There had not been a successful military coup for many centuries and the fact there was one brewing displays the contempt the Roman army had for their governor.